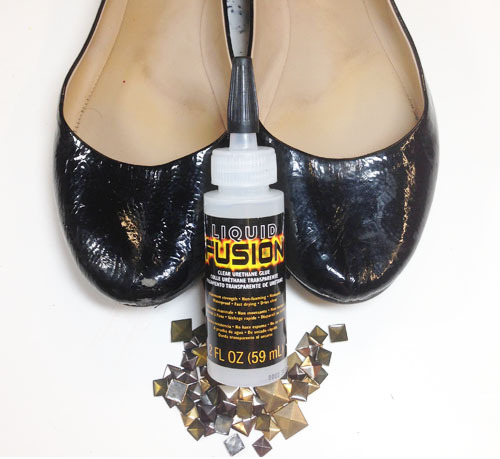 iLoveToCreate Blog: How To Stud Your Flats! How To Stud Your Flats! These are my "Tell me about it, STUD." Flats. (Clever, right?) I LOVE me some black flats, but what do you do when they get scruffed up? STUD THEM! 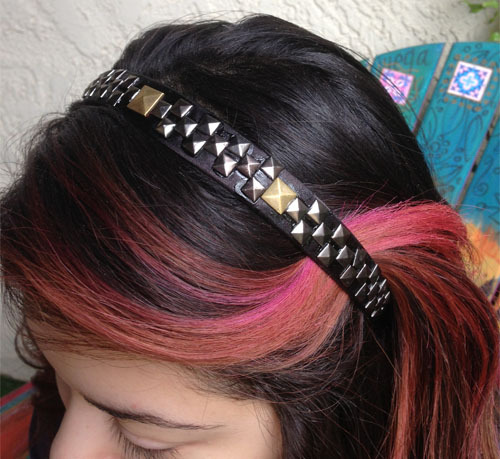 This is a QUICK and EASY project using Liquid Fusion! Here we go! Step One: I lightly sanded my shoes in the area I wanted to glue. 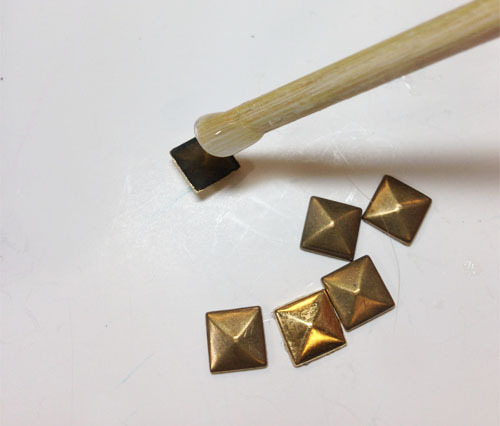 Next, pour some glue into a paint tray, and with a bamboo stick, apply glue on to the back of stud. Step Two: Place stud on to your shoe. 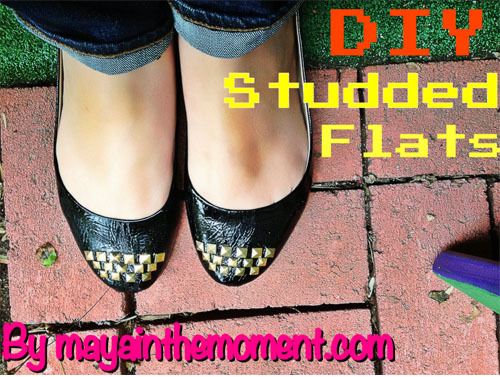 If you're unsure of a pattern, google "Studded Flats" and you'll find some ideas! For this project I did sort of a triangle, top row=6, middle=5, and bottom=4. Play around with it! Step Three: Wait for about an hour for them to dry. After that, wear those babies out! Check out this quick video I posted on Vine(@mayainthemoment) of the process!